Back for a return journey in 2019, The Murder Express departs from Pedley Street Station from 11th January. The immersive theatre and dining experience transports guests back to the 19th century, to a time when travelling by train for pleasure is in its infancy. You'll be served a four course meal created by BBC One's MasterChef 2016 winner, Jane Devonshire, as the story unfolds, told by a cast of characters including Frank, an East End costermonger, Tilley, a music hall star, Vera, a widow in search of adventure and Cliff, an antique dealer. Passengers can enjoy cocktails at the Seven Sins bar before boarding a train carriage destined for the fictional town of Murder in France. What are the best dining options near The Murder Express London? The Murder Express gyms, sporting activities, health & beauty and fitness. The best pubs near London The Murder Express. The Murder Express clubs, bars, cabaret nights, casinos and interesting nightlife. 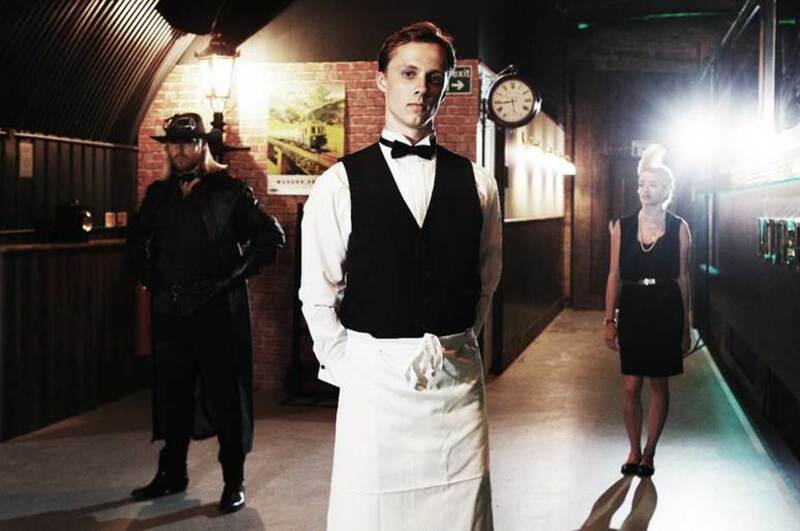 Where to have your meeting, conference, exhibition, private dining or training course near The Murder Express. From cheap budget hotels to luxury 5 star suites see our special offers for Arch 63 Pedley Street hotels, including Holiday Inn London - Whitechapel from 94% off.